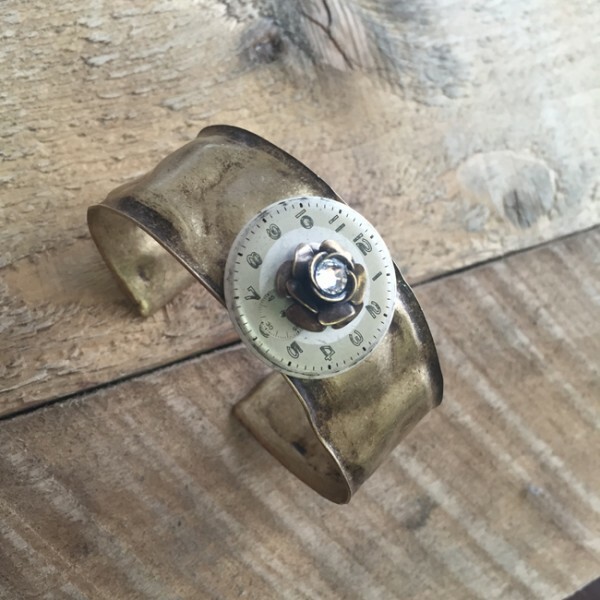 Our cuff bracelets can be done in antique silver and antique brass (as shown). Time to Smell the roses is part of our “Time” series. The rose charm is mounted on a vintage clock face. The sparkle comes from a Swarovski crystal. Fits most wrist size as it is adjustable.